Cleverley CEO, Mr. George Glasgow Jr has designed a capsule collection of ladies items for Fall / Winter 2018 & Spring / Summer 2019. In collaboration with his wife, Veronique, the collection is made up of a few pieces which can easily be combined and interchanged. This collection consists of a few unique items and a condensed version of Mr. George Glasgow Jr vision, mostly limited edition, which transcends seasons and trends by being functional. In the images you see Mrs. Veronique Glasgow wearing a bespoke white suit (8 1/2 oz Faille. 100% wool). Fabric selected because of its smooth hand, its ability to resist creases and how it flows naturally when worn. Suit by Leonard Logsdail. Sunglasses: Horn by EB Meyrowitz. 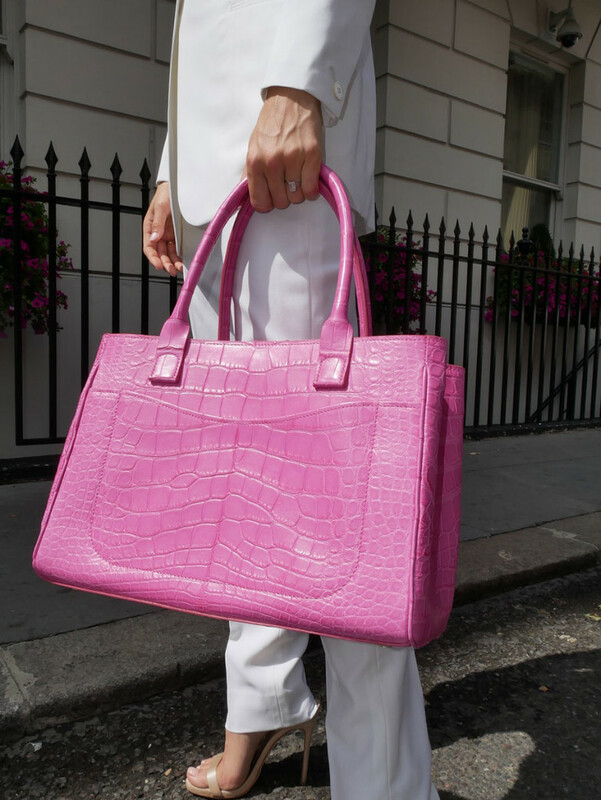 The bespoke bag is by George Cleverley. Completely handmade in London by one expert craftsman in our team. 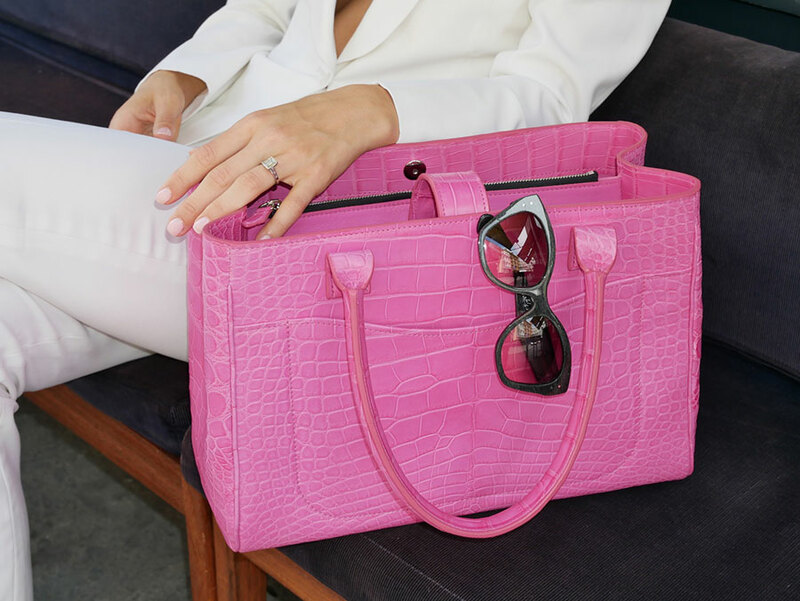 The skins were made especially for us in “Rosa Pink” for a special client in New York. We used two large Grade 1 skins at 46 cms & one smaller skin at 28 cms for the trimmings. The lining was a matching colour in lamb nappa, which is extremely soft and luxurious.